Desi folosesc des uleiul de cocos pentru a ma demachia uneori prefer o lotiune micelara pentru a indeparta machiajul si impuritatile inainte de curatarea propriu-zisa a tenului. Am incercat cateva pana acum si pot sa spun ca mi-am gasit preferatele, iar cea pe care o voi prezenta astazi este una dintre ele. 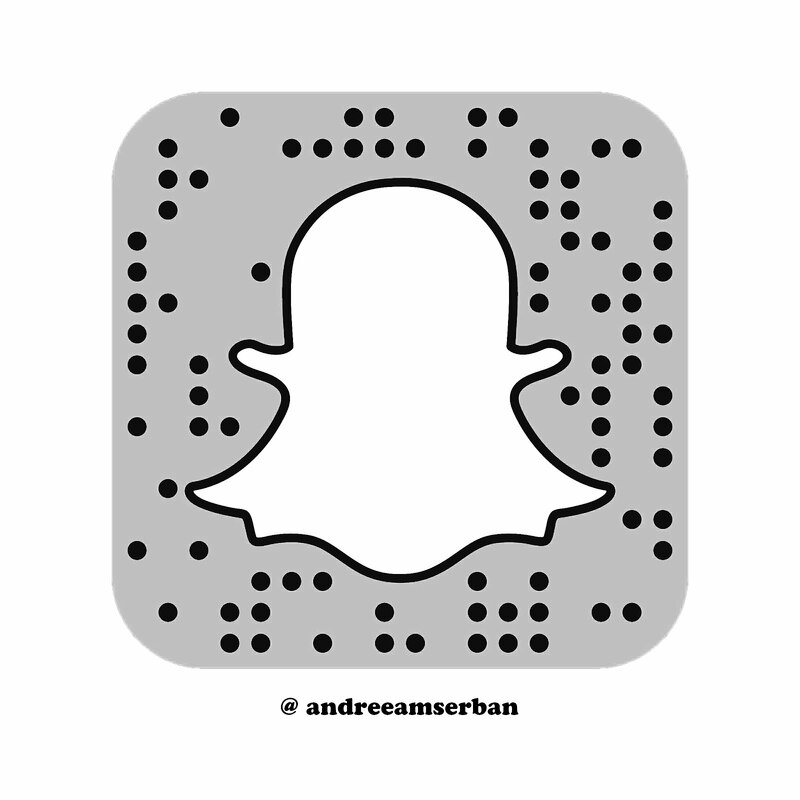 Am mai testat lotiunea micelara de la Ivatherm si acum ceva timp, dar apoi am tot testat altele si nu am mai recumparat-o, totusi la meetingul bloggerior din Timisoara am primit din nou aceasta lotiune micelara si mi-am adus aminte de ce am considerat-o una dintre cele mai bune. Even though I use coconut oil to remove my makeup quite often sometimes I prefer a micellar lotion to remove my makeup and impurities before the proper cleanse of the skin. I tried a few ones till now and this one I can say i found my favourites and this is one of them. I have tested this before but I also tested a few more afterwards and kind of forgot to buy it again, and at the bloggers meeting I have received this again and I was reminded why I loved it so much and thought it was one of the best. Conceptul e cunoscut de toata lumea cred, cel al lotiunilor micelare si fiecare brand de apare cu propria versiune pe piata, iar apoi am am crede ca toate sunt la fel, dar ce o face pe aceasta diferita? Ei bine faptul ca elimina machiajul foarte bine, atat pe cel al ochilor (nu ma refer aici la machiaj rezistent la apa), dar si pe cel al fetei, indepartand mare parte a fondului de ten si al impuritatilor. Insa mai e ceva, unele lotiuni micelare lasa un oarecare reziduu pe ten, o senzatie nu foarte placuta si am patit asta cu una din lotiuile miceare folosite acum ceva timp, din pacate nu mai stiu care din ele. Ideea e ca acesta lotiune lasa tenul cu o senzatie placuta de curat, chiar daca eu oricum imi curat tenul cu un gel de curatare dupa aceea. Imi place faptul ca imi usureaza munca si ca indeparteaza destul de repede machiajul, iar in serile in care vreau ca rutina de demachiere sa fie cat mai rapida aceasta este optiunea mea. 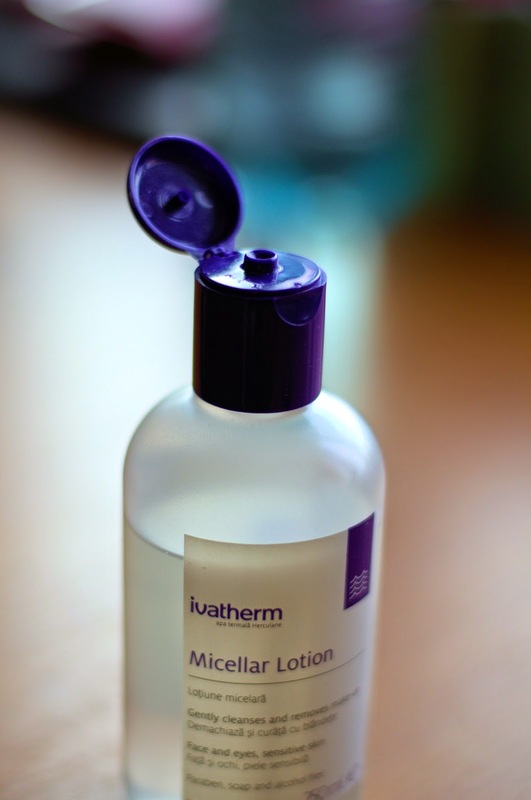 The concept is already know by everyone, the micellar lotions, they got really popular in the las few years and every skincare brand tends to come with their one on the market and at the end of the day we might actually think they are all the same, so, what makes this one different? Well the fact that it removes the makeup so well, the eye makeup (i am not talking about waterproof makeup here) and also the face makeup, taking off most of the foundation and impurities on the skin. 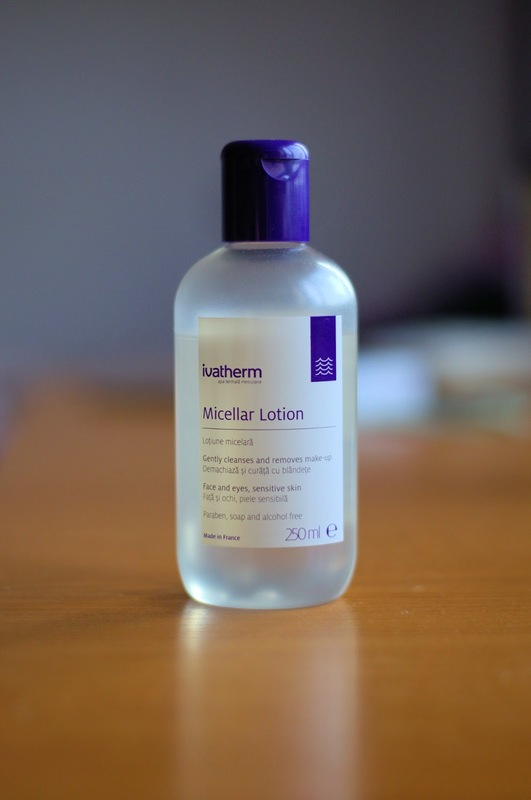 There is something more to it, some of the micellar lotions tend to leave a sort of residue o the skin, a not very pleasant sensation and I did had this problem with one that I tried, I don't remember which one though. This one leaves the skin feeling clean even though I will follow with my normal cleansing routine after it. I like the fact that it simplifies my "work" at getting y makeup and it does it quite fast, so when I want to get it all off this is my option. What lotion do you use? Or better said, what do you use to remove your makeup? Nu am incercat-o pe cea de la Nivea, dar am auzit ca e foarte buna!